If you’re an independent financial advisory firm, you’ll be familiar with the frustration of having each product provider supply revenue information in their own preferred format, either via logins to their systems or by dispensing files via email. It’s a pretty consuming job just to consolidate the data, never mind balancing against expected revenue or bank statements. And, of course, some product providers still insist on delivering revenue statements only as PDF documents, causing many FSPs to employ the mind-numbingly inefficient ‘yellow highlighter method’ of reconciliation. Going on to analyse client profitability, discern fees on client level or mine data for business opportunities or risks isn’t often even part of the plan, given the enormity of the task of simply pulling the various sources of information together in the first place. And being able to accurately and efficiently manage revenue is only going to become more important in the changing legislative landscape. There are some seriously great pieces of tech out there to assist businesses with revenue management, some of which can be implemented pretty quickly and painlessly, especially if you already have the right dedicated resources in your business. Alternatively, outsourcing the entire function of income reconciliation is increasingly popular among financial advisory practices of all shapes and sizes. Let’s face it – the ability to streamline non-core functions whilst focusing more energy on core business is a differentiating edge in the evolving financial services industry. Considering outsourcing? 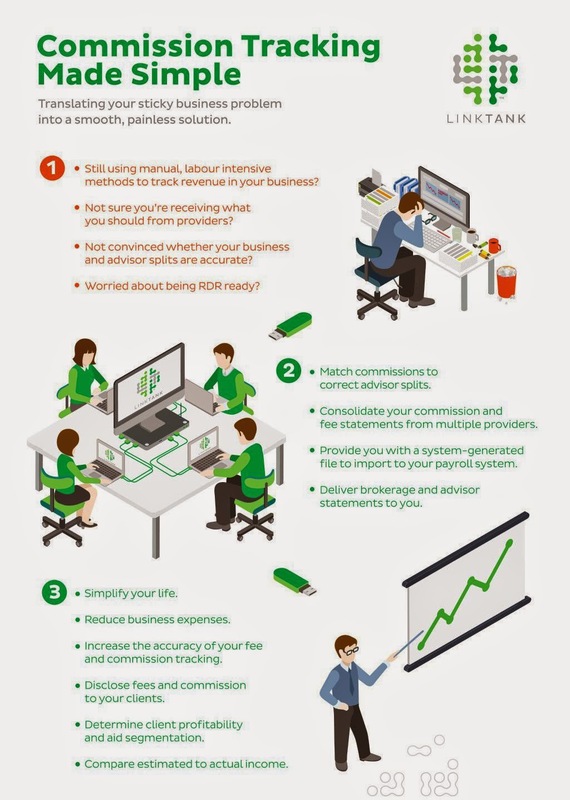 Chat to us at Linktank.